In 2003, I was high enough in the rankings (No. 87) for direct acceptance into the main draw but I hurt my elbow, so I had to withdraw. In 2004, I had a bad left foot injury and I was off from April until July. This time though I came to Paris as I was invited by one of my sponsors. 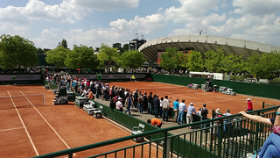 It was the first time that I’d been at Roland Garros. I was on crutches, but it didn’t stop me from going all the way to the top of the stands at Philippe Chatrier Court. I sat on one of the seats to the right of the court to drink in the atmosphere. It’s a fond memory for me. I was disappointed not to be able to play but deep down, I knew that sooner or later I would be able to take part in the tournament. Tennis on clay is the most complete expression of the sport as far as I’m concerned. The rallies are longer since the surface is slower, so you have to construct every point and implement a strategy to try to grind down your opponent. You need to be more patient, know how to defend and find a way to take control of points. And if you like this surface and feel at home on it, Roland Garros is obviously the temple of clay. It’s a unique point in the season. I’d won a lot of titles on clay – in Brazil, Acapulco, Monte Carlo, Barcelona and Rome, so I had a lot of confidence. I knew that I had the game and the strength to go deep. During the tournament, I just took one match at a time, but I knew that if I played my best, I could achieve something. When I see myself in 2005, I see a player with an incredible energy and enormous powers of concentration. I was on such a good form. I played with real intensity and passion. I was young and I had a carefree attitude you would expect of a 19-year-old. 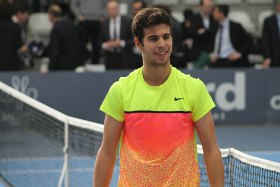 In the final against Mariano Puerta, I knew that it would be a difficult match and that’s what it was. But I knew that anything was possible. This win will always be a key moment in my career. In the space of two months, I went from No. 50 in the world to winning Roland Garros. I handled it well in my head, because after this win, I stayed the same, I carried on working hard to keep on the right path as best I could. It’s true that after that first win, I thought “That’s it, my dream has come true, so now the rest of my career, I will be calmer.” But I’d got it all wrong. Because each season, it was the same thing – you’re nervous, you want to win because you want to get back that indescribable feeling of emerging victorious at a Grand Slam tournament. So this feeling of calm that I thought I had got with that win turned out to be very temporary because a few months later, the tension and the desire to give it my all came back – stronger than before. Winning at Roland Garros gives you the strength and the confidence to win elsewhere. 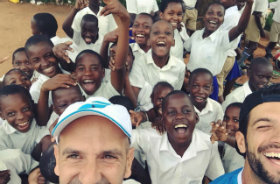 Because when you start winning, you get into a virtuous circle: winning boosts your confidence, it makes you calmer, you gain more experience and it gives you a healthy dose of positive energy. Roland Garros is therefore a unique tournament in my career because it also enabled me to win on hard courts, on grass and everywhere else. 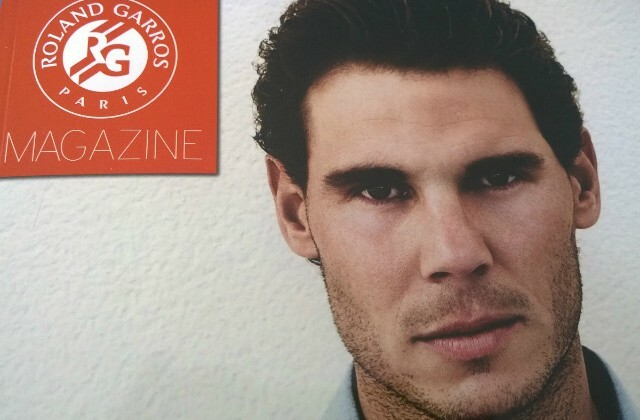 In 2005, a lot of people thought that I could only play on clay, but after I won the French Open, I went on to win the Masters 1000 in Montreal and the tournament in Madrid (then played on hard courts), so I was good enough to win on other surfaces. 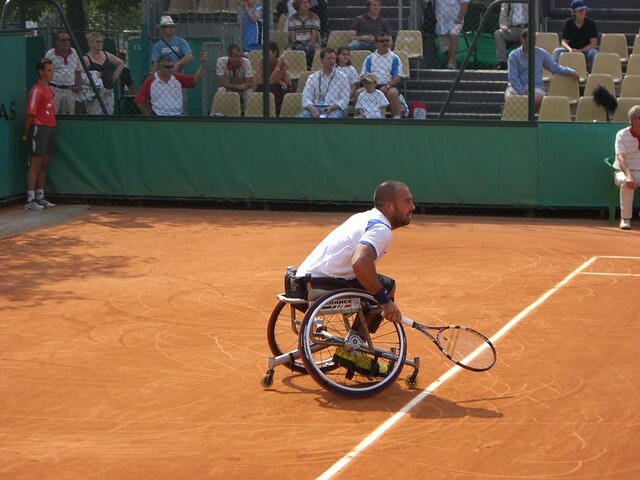 Lots of things have happened to me at Roland Garros. 2008 for example was the year that I was further ahead the pack than ever before. 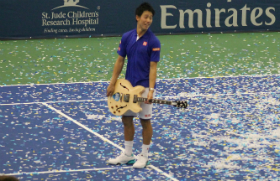 I didn’t drop a set and think that this is the tournament where I played my best tennis. In 2014 against Novak Djokovic, it was the toughest final physically. I’d never felt that tired – at the end of the first set as well. It was very hot, humid and muggy even though it had been quite cool throughout the fortnight. My body struggled with it. I also had some fitness problems during this tournament. In 2012, I had cortisone injections to play because my knee was hurting. Thee was another year, I forget which one, when I also needed injections, this time on my foot. But injuries and fitness issues are part and parcel of being a tennis professional. With hindsight, I can see that the injuries led to me missing some important moments and tournaments but at the same time, they allowed me to put into perspective everything that I’ve achieved. That defeat in 2009 was a hard one to swallow, I won’t deny that, but at the same time it wasn’t a tragedy. You mustn’t blow it out of proportion. I’d won the tournament in 2005, 2006, 2007, and 2008. And I told myself that I wasn’t going to win Roland Garros every year and that’s normal, I can actually lose, I know that, so I went home and decided to prepare as best I could to try to win it again. It was a very special victory. Even if I didn’t drop a set this year, it wasn’t as easy as in 2008. I was coming from a long way back. 2009 was a very tough year, both personally and physically. I hurt my knee before Roland Garros then after that it was my stomach muscles during the American swing. I went through some bad times. And after all that, I came back and won Roland Garros again. I was very, very emotional, and this win was the starting point of an exceptional period because I went on to win Wimbledon and the US Open. 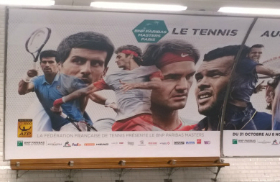 And once again it all started at Roland Garros. After these entertaining doubles matches, I headed to number 7 court, for some wheelchair tennis. 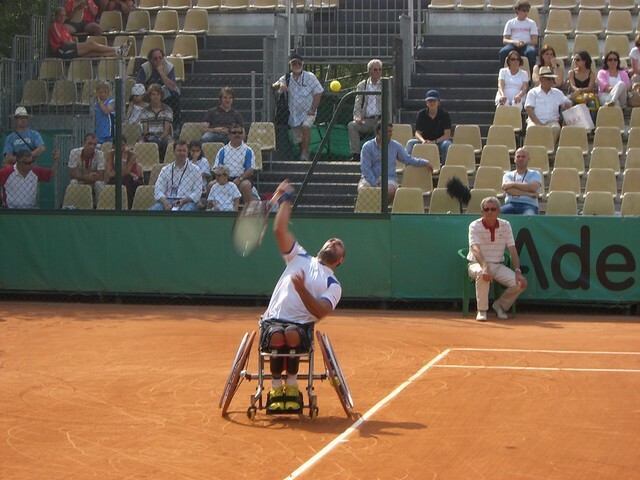 Some photos and videos of Mickaël Jérémiasz, former world number one in singles and doubles. 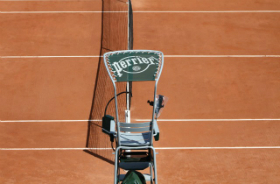 I had one of my best Roland Garros experience in 2007. I had bought tickets for the Benny Berthet Day but couldn’t attend it, and for the second Wednesday. Usually, I avoid Wednesdays, because the stadiums are overcrowded and full of kids everywhere, but I really enjoyed that sunny day at Roland Garros. 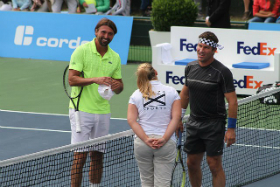 First match on the Suzanne Lenglen that day, an under 45 Legends Trophy match: Leconte/Pioline vs Champion/Cash. A two time Grand Slam runner up (US Open 93, Wimbledon 97), Pioline won his biggest title in Monte Carlo in 2000. 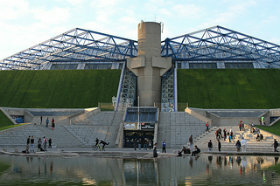 He is now co-director of the Paris Bercy Masters Series tournament.